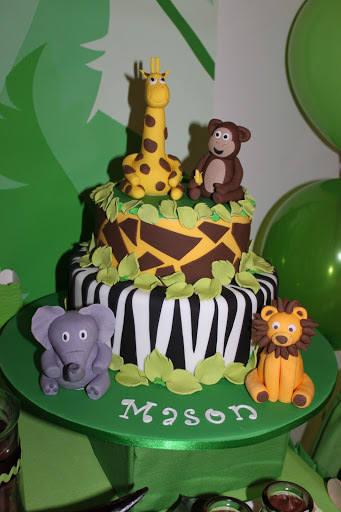 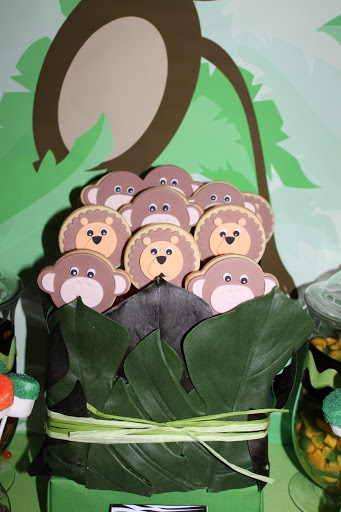 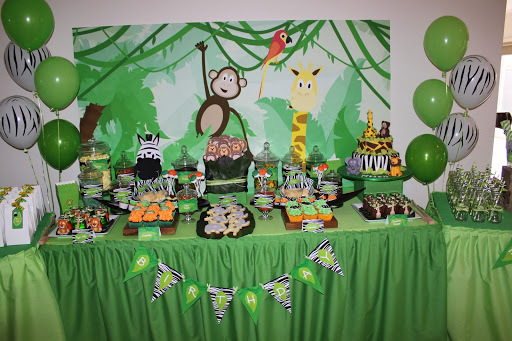 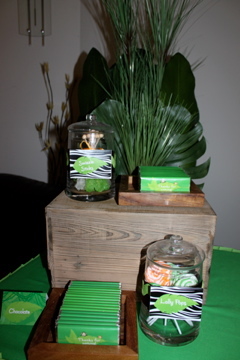 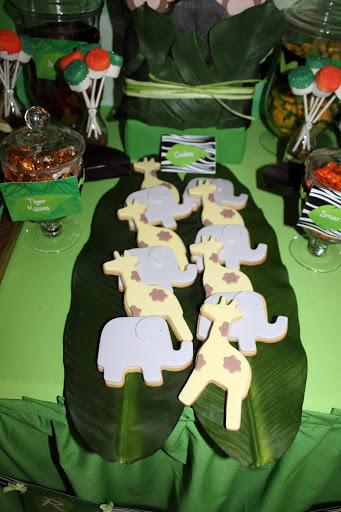 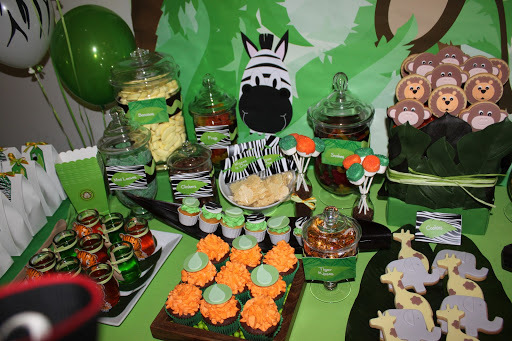 The lovely Jennifer from Sweet Affairs Event Design sent in her very cute jungle themed table that she did for a little boy’s 1st birthday. 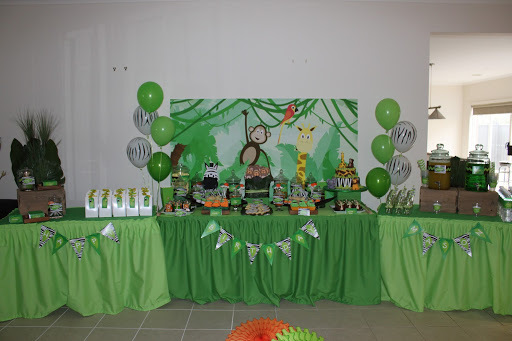 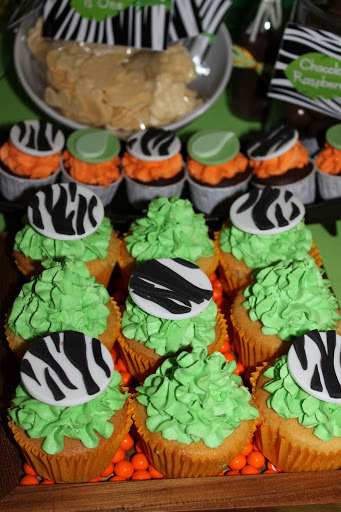 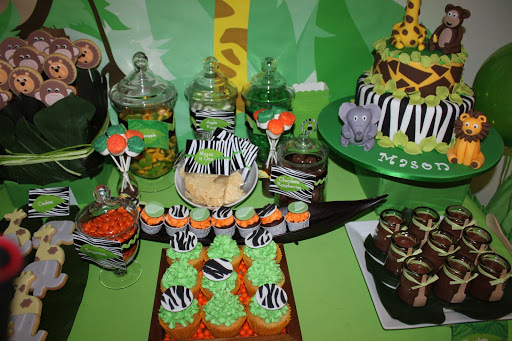 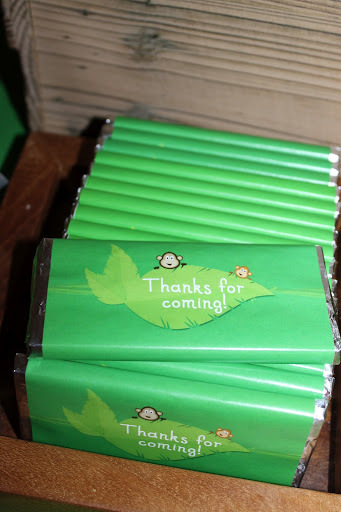 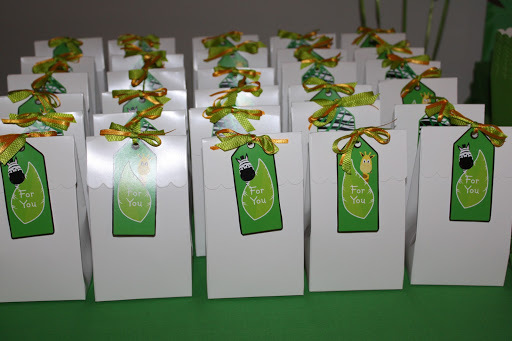 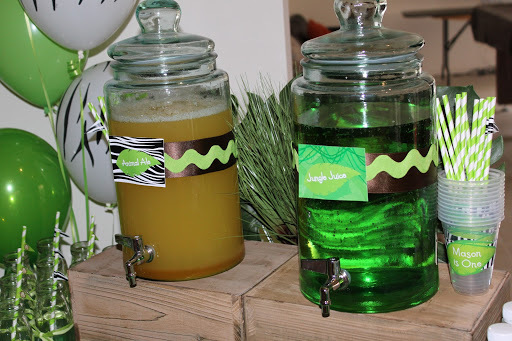 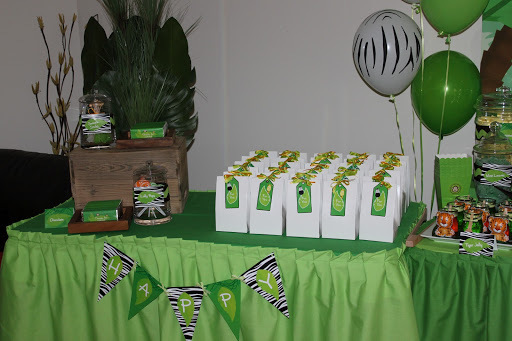 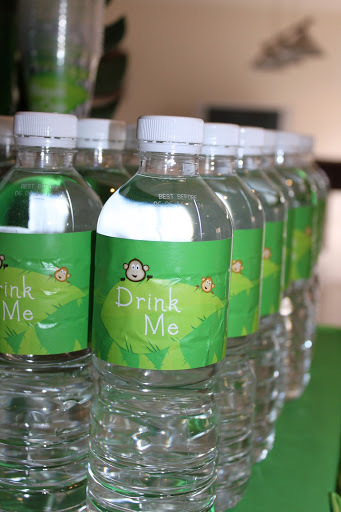 She had less than two weeks to put this party together and I think we would all agree she has done an amazing job!, she started with the jungle party design by Upon a Time Designs and went from there. 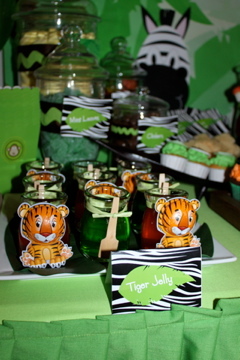 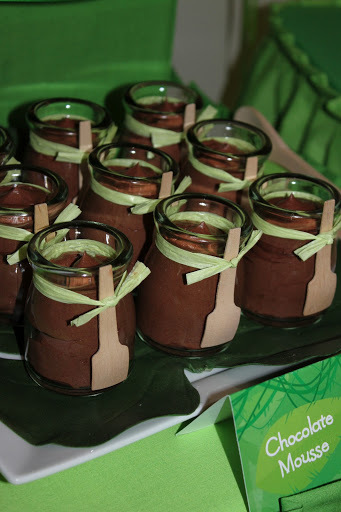 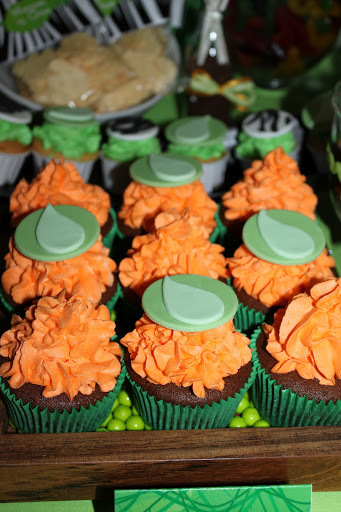 Cupcakes, jelly pots, mousse pots, marshmallow pops and some beautiful cookies from Sweet Table were on the desert table.